The Brisbane River is the longest river in South East Queensland, Australia, and flows through the city of Brisbane, before emptying into Moreton Bay. John Oxley, the first European to explore the river, named it after the Governor of New South Wales, Sir Thomas Brisbane in 1823. 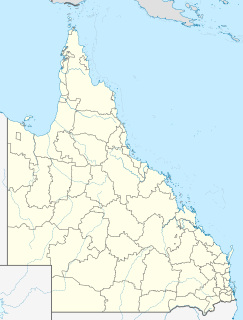 The penal colony of Moreton Bay later adopted the same name, eventually becoming the present city of Brisbane. The road across the bridge is named Bradfield Highway. The bridge connects Fortitude Valley to Kangaroo Point. The Story Bridge opened in 1940 and was tolled until 1947. It is named after prominent public servant John Douglas Story. The Victoria Bridge is a vehicular and pedestrian bridge over the Brisbane River. The current bridge, opened in 1969, is the third permanent crossing erected at this location. It is shared by vehicular traffic, pedestrians and cyclists. Customs House is a heritage-listed customs house at 427 Queen Street, Brisbane CBD, City of Brisbane, Queensland, Australia. It was designed by Charles H McLay and built from 1886 to 1889 at a cost of ₤38,346 by John Petrie & Son. It was originally used for the collection of customs duty and was opened in 1889, when Queensland was a British colony, replacing the original Customs House located at Petrie Bight. It was added to the Queensland Heritage Register on 7 February 2005. George Street is a main street located in the Brisbane CBD in Brisbane, Queensland, Australia. A major thoroughfare, George Street connects to the Queensland University of Technology as well as the state Botanical Gardens, to the commercial centre of Brisbane, Queen Street and Queen Street Mall. Panorama showing the location of the Story Bridge (left) relative to the Brisbane CBD. Roger William Hercules Hawken, an Australian engineer, was the first lecturer in Civil Engineering, and then a professor, at the University of Queensland. The Brisbane central business district (CBD), officially gazetted as the suburb of Brisbane City and colloquially referred to as 'the city', is the heart of the state capital of Queensland, Australia. It is located on a point on the northern bank of the Brisbane River. The triangular shaped area is bounded by the Brisbane River to the east, south and west. The point, known at its tip as Gardens Point, slopes upward to the north-west where the city is bounded by parkland and the inner city suburb of Spring Hill to the north. The CBD is bounded to the north-east by the suburb of Fortitude Valley. To the west the CBD is bounded by Petrie Terrace, which in 2010 was reinstated as a suburb. Public works are a broad category of infrastructure projects, financed and constructed by the government, for recreational, employment, and health and safety uses in the greater community. They include public buildings, transport infrastructure, public spaces, public services, and other, usually long-term, physical assets and facilities. Though often interchangeable with public infrastructure and public capital, public works does not necessarily carry an economic component, thereby being a broader term. Before the opening of the Sydney Harbour Bridge in 1932 the Government of Queensland asked John Bradfield to design a new bridge in Brisbane. Dr. John Jacob "Job" Crew Bradfield was a prominent Australian engineer who is best known for his work overseeing the design and building of the Sydney Harbour Bridge. The bridge carries an average of 97,000 vehicles each day. The Story Bridge carries three lanes of traffic in either direction as well as a shared pedestrian and cycle way flanking each side. The road on the bridge is called the Bradfield Highway. It is not to be confused with the Bradfield Highway that spans the Sydney Harbour Bridge. Initially a toll of sixpence (5 cents) was charged to use the bridge,  with toll booths constructed at the southern end of the Bradfield Highway. The toll was removed in 1947. Between 1952 and 1969 trolley-buses operated by the Brisbane City Council used the bridge. Story Bridge with the Brisbane skyline in the background. The Sir Leo Hielscher Bridges are a side-by-side pair of road bridges on the Gateway Motorway (M1), which skirts the eastern suburbs of Brisbane, Queensland, Australia. The western bridge carries traffic to the north and the eastern bridge carries traffic to the south. They are the most eastern crossing of the Brisbane River, the closest to Moreton Bay, crossing at the Quarries Reach, between Eagle Farm and Murarrie. The original bridge was opened on 11 January 1986 and cost A$92 million to build. The duplicate bridge was opened in May 2010, and cost $350 million. The Captain Cook Bridge is a motorway bridge over the Brisbane River in Brisbane, in the state of Queensland, Australia. It was built exclusively for vehicular traffic and was opened in 1972. The bridge crosses at the South Brisbane Reach of the river, linking Gardens Point in the Brisbane central business district on the north side to Kangaroo Point and South Brisbane on the southside. The William Jolly Bridge is a heritage-listed road bridge over the Brisbane River between North Quay in the Brisbane CBD and Grey Street in South Brisbane, within City of Brisbane, Queensland, Australia. It was designed by A E Harding Frew and built from 1928 to 1932 by M R Hornibrook Ltd. The Walter Taylor Bridge is a heritage-listed suspension bridge crossing the Brisbane River between Indooroopilly and Chelmer in Brisbane, Queensland, Australia. It is shared by motor traffic and pedestrians and is the only habitable bridge in the Southern Hemisphere. Albert Bridge is a heritage-listed railway bridge of steel truss design crossing the Brisbane River between Indooroopilly and Chelmer in the City of Brisbane, Queensland, Australia. It was designed by Henry Charles Stanley and built from 1894 to 1895 by John McCormick & Son. It was added to the Queensland Heritage Register on 21 October 1992. Hornibrook Bridge is a heritage-listed road bridge on the Hornibrook Highway over Bramble Bay from Brighton, City of Brisbane to Clontarf, Moreton Bay Region, Queensland, Australia. It was designed by Manuel Hornibrook and built from 1932 to 1935 by Manuel Hornibrook. It was added to the Queensland Heritage Register on 7 October 1994. The Bradfield Highway is a highway in Sydney, New South Wales, Australia. At 2.5 kilometres (1.6 mi) long it is one of the shortest highways in Australia. TransApex is a road transport plan devised by Brisbane Lord Mayor Campbell Newman in the early 2000s to connect existing motorways and major arterial roads with new transport links and divert cross-city traffic out of the Brisbane CBD. The plan is currently being delivered by Brisbane City Council at an estimated total cost of over $10 billion across five stages. According to the Brisbane City Council website, TransApex is "the biggest urban road project proposed in Australia". The M7 Clem Jones Tunnel (CLEM7), known during its development as the North-South Bypass Tunnel (NSBT), is a A$3.2 billion motorway grade toll road under the Brisbane River, between Woolloongabba and Bowen Hills in Brisbane, Queensland. The tunnel was progressively opened to traffic from late on 15 March 2010 until just after midnight on 16 March 2010. It was completely open by 12:02 am. The South Coast railway line was an Australian railway from Brisbane, the capital city of Queensland, to the Gold Coast. It operated from 1889 to 1964. The Gold Coast railway line re-opened in 1996 along a modified alignment in the north and a new route south. The M5 Legacy Way is a 4.6 kilometres (2.9 mi) long tunnel linking the Western Freeway at Toowong and the Inner City Bypass at Kelvin Grove, Brisbane. The project consisted of two bored tunnels carrying two motorway grade lanes of traffic in each direction. It opened on 25 June 2015 and is the fourth of five components of Brisbane City Council's TransApex Project. The tunnels will be tolled for approximately 45 years. Evans Deakin & Company was an Australian engineering company and shipbuilder. Southport Pier is a pier spanning the Gold Coast Broadwater in Southport, a suburb on the Gold Coast in South East Queensland, Australia. The current pier was constructed in 2009, replacing a previous structure demolished in 1969. Hefferan Park Air Raid Shelter is a heritage-listed former air raid shelter at 260 Annerley Road, Annerley, City of Brisbane, Queensland, Australia. It was designed by Frank Gibson Costello and built in c. 1942 by the Brisbane City Council. It was added to the Queensland Heritage Register on 6 April 2005. ↑ "TOOWOOMBA". The Brisbane Courier . 16 March 1865. p. 2. 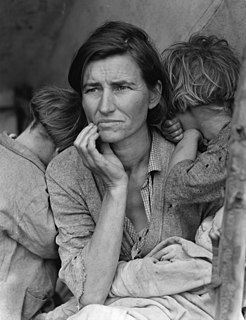 Retrieved 6 August 2015– via National Library of Australia. ↑ "Brisbane River Bridge". The Telegraph . Brisbane. 3 November 1888. p. 2. Retrieved 6 August 2015– via National Library of Australia. 1 2 3 Gregory, Helen (2007). Brisbane Then and Now. Wingfield, South Australia: Salamander Books. p. 92. ISBN 978-1-74173-011-1. 1 2 3 4 Hacker, D. R. (1999). Petries Bight: a Slice of Brisbane History. Bowen Hills, Queensland: Queensland Women's Historical Association Inc. pp. 45–46. ISBN 0-9590271-8-1. 1 2 3 4 Hogan, Janet (1982). Living History of Brisbane. Spring Hill, Queensland: Boolarong Publications. p. 109. ISBN 0-908175-41-8. ↑ "Bridge Cost Three Men Their Lives". The Courier-Mail (2129). Brisbane. 29 June 1940. p. 18. Retrieved 8 June 2017– via National Library of Australia. ↑ "FIRST STORY BRIDGE FATALITY". Queensland Times . LXXVIII (15, 915). 23 November 1937. p. 7 (DAILY.). Retrieved 3 August 2017– via National Library of Australia. ↑ "CARPENTER FALLS FROM STORY BRIDGE". The Central Queensland Herald . 10 (477). 9 February 1939. p. 41. Retrieved 3 August 2017– via National Library of Australia. ↑ "100 ft. Death Fall From New Bridge". The Telegraph . Brisbane. 6 December 1939. p. 1 (CITY FINAL LAST MINUTE NEWS). Retrieved 3 August 2017– via National Library of Australia. ↑ Kim Stephens & Cameron Atfield (2 January 2014). "Heatwave could see Brisbane reach 40 degrees". Brisbane Times. Archived from the original on 3 January 2014. Retrieved 2 January 2014. ↑ Atfield, Cameron (4 January 2014). "Bridge crew have a hot Story to tell". Brisbane Times . Retrieved 5 July 2018. ↑ Tin, Jason (4 January 2014). "Story Bridge to close for roadworks the first weekend of 2014". The Courier-Mail . Archived from the original on 5 January 2014. Retrieved 7 May 2018. ↑ "Story Bridge resurfacing works". Brisbane City Council. Archived from the original on 14 July 2014. Retrieved 7 May 2018. ↑ Hyam, Rebecca (27 April 2018). "Story Bridge water damage prompts two-day closure for repairs to southern approach". ABC News . Archived from the original on 29 April 2018. Retrieved 7 May 2018. ↑ Atfield, Cameron. 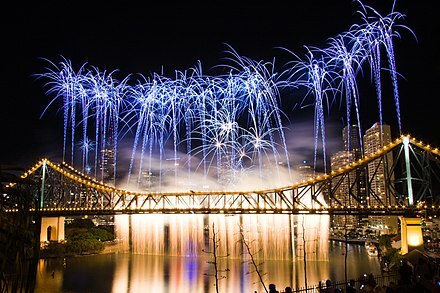 "Thousands flock to Story Bridge 75th birthday celebrations". Brisbane Times. Archived from the original on 7 July 2015. Retrieved 7 July 2015. ↑ Hutchinson, Amy (6 July 2010). "Seventy years on, Story Bridge still going strong". Brisbane Times . Retrieved 5 July 2018. 1 2 "Brisbane Times news article". Archived from the original on 23 February 2012. Retrieved 21 February 2012. ↑ "Safety barriers for Story Bridge". Archived from the original on 7 February 2013. Retrieved 6 February 2013. ↑ "Story Bridge (entry 601732)". Queensland Heritage Register . Queensland Heritage Council. Retrieved 11 July 2014. ↑ "Story Bridge, Brisbane River, 1940–". Engineers Australia. Archived from the original on 15 September 2016. Retrieved 9 September 2016. Wikimedia Commons has media related to Story Bridge, Brisbane . View on Google Maps – includes a short video.